Fill in your details below and we will let you know within 24 hours if we can get Loteria Mexicana to you with haste! 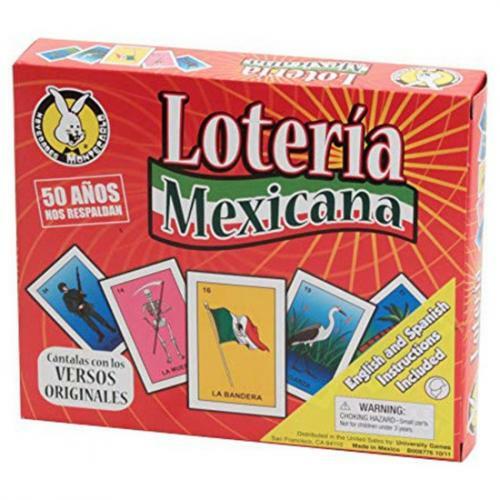 Loteria Mexicana from University Games is a fun family favorite straight from Mexico. One player is the caller and draws a small card, then describes the image. If that image matches an picture on your card, cover it with a token; cover up all your pictures and you win the game.